Contrary to my last post, I might have let myself have a couple treats this evening… Today is my busy day for exercise – I missed my morning weight lifting class due to road works whilst cycling in to work, so I ended up running 4km in 20 minutes out of frustration on the treadmill. At lunch I went to an ab building class, followed by a 12km cycle home! 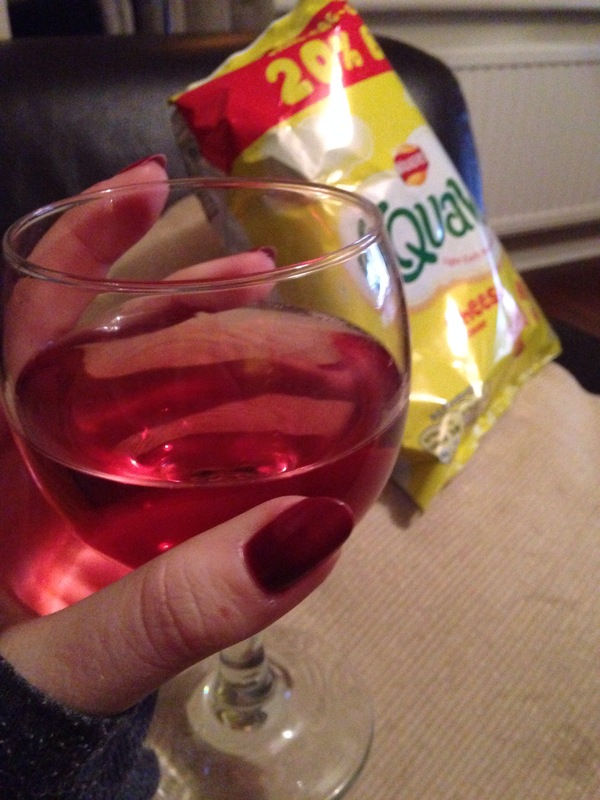 So bugger it, I deserve wine and quavers!